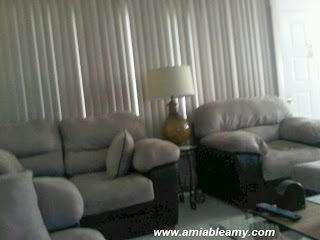 I was looking at the two pictures of our living room set. We bought this in Rooms-To-Go about 4 years ago and it still looks good after all these years. The first picture was taken in the living room in our house right now. Hubby and I thought that the living room in our condo is bigger than the living room in our house. The first picture looks small because of the big furniture. The photo below was taken in our condo. 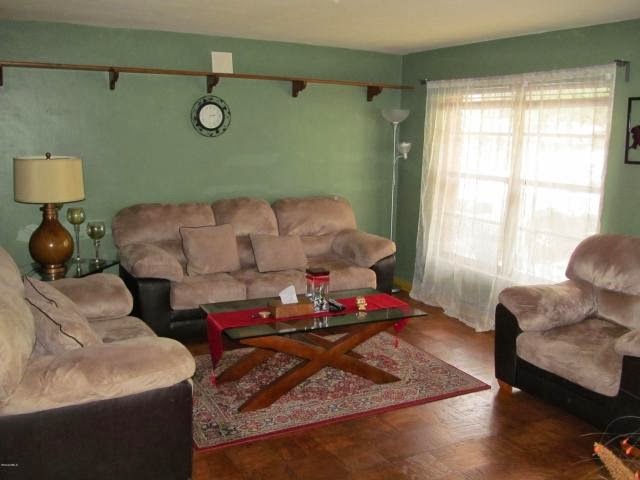 Partially, there is the loveseat and the single couch. It looks perfect in the living room and not cramped. Though the picture is blurry, I like the arrangement of the furniture in the second picture than the first. What do you think?